AVL (Australian Volleyball League) in partnership with Sydney University. This is Australia’s Premier National Volleyball Competition run in the latter part of the year. The program has been designed to allow students to participate in volleyball whilst completing their studies at mid-senior school levels. The program includes a range of activities that will provide development opportunities for different levels of volleyballers. The Junior Program is run by NCAS Accredited coaches or coaches who have equivalent experience and/or are working towards gaining their formal accreditation. A. Training Sessions – Focused on skill development for individuals and match play within a team environment. There is a component of physical strengthening to support both general fitness and specific conditioning required for a volleyball athlete. Trainings are facilitated by a Head Coach and supporting staff (from Senior UTS Teams) and are run according to a prepared training plan as part of an overall program. B. Tournaments – Teams are entered in various NSW State Cups as a lead-up to the SVL Season. The tournaments are a great way for teams to develop their game play in a friendly competitive environment, whilst exposing players to a higher level of volleyball competition within NSW. Some tournaments are based in the Sydney Metropolitan area, whilst others are located in regional NSW towns where overnight stay or daily commuting is optional. C. SVL (Sydney Volleyball League) – Teams play in the Junior Divisions (U19/U16) of this premier level of competition volleyball in NSW. The season runs from June to September and is played every Sunday at Sydney Olympic Park Sports Halls (Next to Monster Park), in the same venue as SVL Senior Divisions. 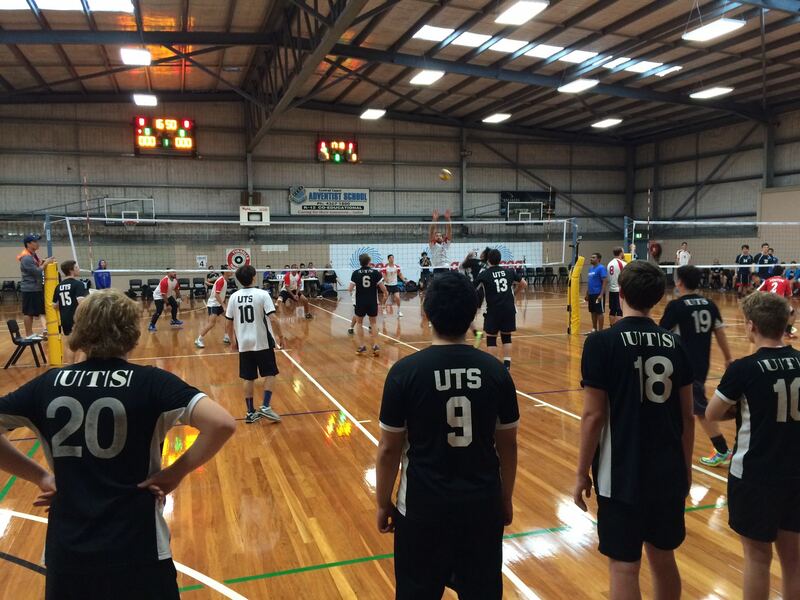 D. Canberra Tour – Teams are entered in the Good Neighbour Volleyball Tournament in November and tour/stay with the rest of the UTS Club in Canberra. 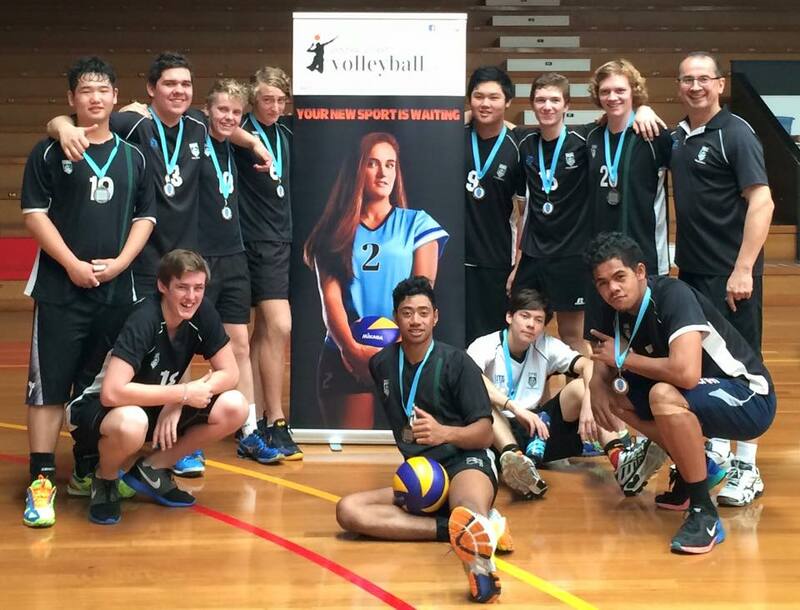 This is one of the largest volleyball events in Australia and in 2013 our Junior Boys Team won Gold in the U18 Schoolboys Division. High Performance Development Camp – This is a specialised weekend camp where players are immersed in volleyball for 2 whole days and an overnight stay at the Sydney Academy of Sport. The camp is lead by the current NSW Mentor Coach, Nam Pham who brings his experience of coaching the Junior National Tour teams into a high performance training environment. Players are exposed to advanced systems, structures, training drills and a heavy emphasis on competitive match-play. There is also a strong educational component which covers importance of health, nutrition, stretching, body management & recovery. One of our Junior Boys produced a small documentary on Volleyball in Australia featuring some of our senior players. This was our first opportunity to play with the new roster following the departure of several key players to the senior ranks and our recent selections trials. Some of our players had commitments to the NSW Beach Squad so we invited some of our new development players. We boarded the UTS Mini-Bus at RMSH Ultimo and met up with 3 of our regional players at the stadium in Terrigal. First up, the whole team (100%) attended a scoring clinic run by George Chalhoub from NSWVRA. George also went thru general tips for doing duty as well as what is expected from players on court and the behaviours/attitude to officials. A good start for our first time players 🙂 At this stage there is no Junior competition at our State Cups, so we entered our team into the Div 2 Open Mens Division. At the end of Day 1, we managed 2 wins against the Bumble Bees and 1 loss against the new look (big-hitting) Freezone team. A great result for our first day of volleyball as a new team and all players seemed to gel very quickly. In the evening at our team meeting I asked what was each players highlight and I was amazed by some of their responses: “Being part of such a tight/friendly team”, “We all supported each other”, “This is my first real tournament ever!”, “This was my first volleyball game in Australia!”, “This is my first time I am sleeping away from my family!” …OMG!!! On Day 2 we played our Semi Final and came out on fire, with a solid win. The Semi would end up being our best oncourt performance of the tournament, with lots of amazing plays, great defense/dives in back court, and some very aggressive/solid offence from both front and back court. The team were on a real high after the Semi, and went into the Gold Medal Final pumped. Although we played with a great attitude, the combination of the physical toll on everyone after a weekend of volleyball and a very solid performance by our opposition, meant we were outclassed overall and went down 0:2 to take out the Silver Medal. There were many highlights for our new team, including: running a solid back row attack consistently, some brilliant roof blocks and some amazing saves in defence, but the highlight was in the Gold Final, the opposition put up a 3 man block on our Opposite player, what the?… 3-man block in Div 2? Before I knew it, our own players started blocking them with our own 3 man block, much to my surprise because we had never trained for this, so full credit to the boys for giving it a go. The sense of team spirit and camaraderie was amazing all weekend and we look forward to working with a bunch of great juniors, willing to learn and be part of the UTS family. A big thank you to the Board of UTS-VC for supporting the Junior Program again this year and to all of the senior coaches who have provided assistance during the lead-up training sessions and to Jon Yaw for helping out when needed. We look forward to an exciting year of the Junior Program in 2015. 3. UTS Junior Boys bench in full support of the oncourt players for every point… great teamwork Boys! Trials have now been completed and a preliminary roster has been selected in preparation for the 2015 SVL Season, beginning in late May. We are pleased to announce we will be fielding 3 Junior Boys Teams in SVL at this stage and we will be training on a weekly basis with attendance at various NSW State Tournaments as part of our preparations. Please contact us if you have just landed in Sydney and are looking to join a Junior Boys Development Program (Under 19’s). Although our official selection/trials have been completed, we have a special exemption for newly arrived and experienced interstate or international volleyballers.